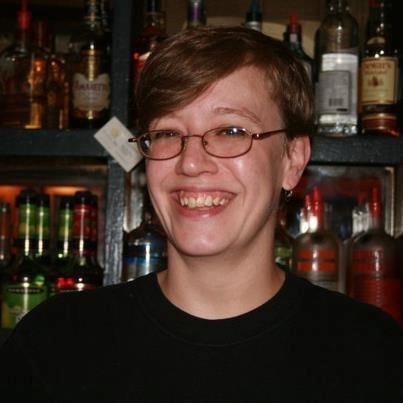 Sarah Majoras was a well known and well liked bartender at the New Hope leather-clad watering hole John & Peters. While she was not working her barista shift Friday evening into early Saturday morning, Majoras was enjoying a night out with friends there and left her party on foot at about 2AM. Majoras was last seen crossing the bridge connecting New Hope to Lambertville, presumably headed to her N. Union St apartment. Surveillance video of Sarah crossing the E. Bridge St walkway over the Delaware River to Lambert Lane has confirmed Majoras made it to the other side at approximately 2:30 am Saturday morning. Adam Baker, Sarah’s live-in boyfriend, called police at 2PM Saturday to report her missing. Baker is a moving and relocation business owner with a registered address located 300 feet from John and Peter’s Bar. Baker is no stranger to missing person’s cases. In October 2000, a friend of Baker’s on his way to visit with him ended up missing after crossing the very same canal. David Anderson was recovered 4 days later in the Delaware Canal spillway. An autopsy of Anderson was inconclusive and the details of the circumstances surrounding his death are scarce. Majoras was last seen wearing a green camouflage army jacket, white knit cap, and glasses. She is 5 foot 4 inches tall and weighs 140 pounds. Anyone with Information about Sarah Majoras is asked to contact the New Hope Police Department or the Lambertville Police.